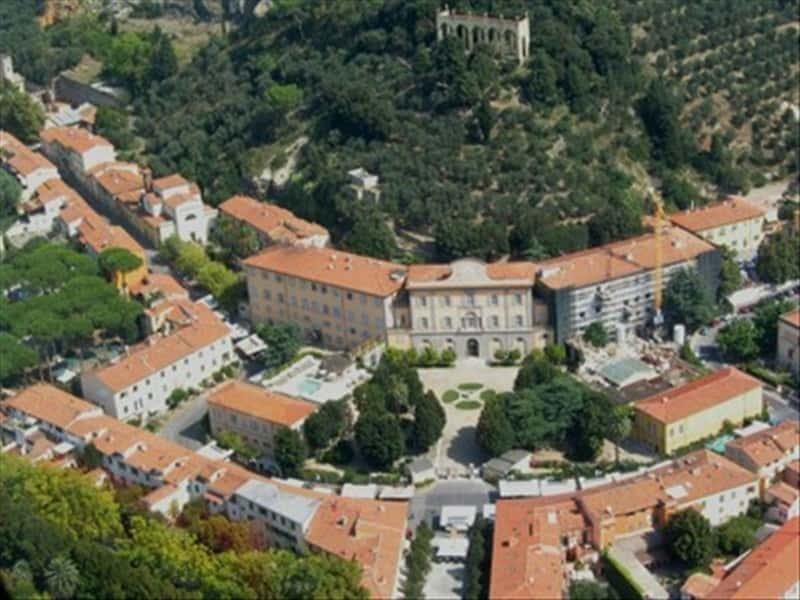 San Giuliano Terme is an important health resort in the province of Pisa. Despite the first human settlements dated back to the Neolithic Age, the Etruscan discovered its hot spring and transformed this place into an important marble extraction centre. In 1112 the countness Matilde di Canossa financed the renovations of the spas and in the XIV centiry the village was fortified by Castruccio Castracani, who also built a tower, destroyed by Lucca in 1397. When the town passed under the Florendine control, a period of decadence and stagnation started, to which Cosimo I de' Medici try to remedy. It was thanks to the Lorena family that the spas reached their splendour. Among the religious architectures, we have to mention the Hermitage of Supercavo, in whose cave a refectory for the monks was realised and it seems that St. Augustine stopped here too, the Parish church of Santa Maria and San Giovanni (1050), the Monastery of San Paolo (1086), the Parish Church of San Marco, VIII century archtectonic jewel, almost intact with a beautiful baptismal font decorated with bas-reliefs, the Romanesque style Parish church of Santa Maria Assunta and the suggestive Church of Santa Maria di Colle Mirteto (XI century). There are also numerous noble villas, such as Villa Roncioni, already mentioned in the XV century, Villa Dal Borgo (1700), Villa Le Moline (1500), Villa Berni Studiati (1500), Villa Agostini Generosi della Seta, Villa Mazzarosa Prini Aulla (1700), Villa Medicea (1500), Villa Tadini Buoninsegni (Lorenzo the Magnificent's hunting residence) and Villa Poschi (1700). This town web page has been visited 34,259 times.